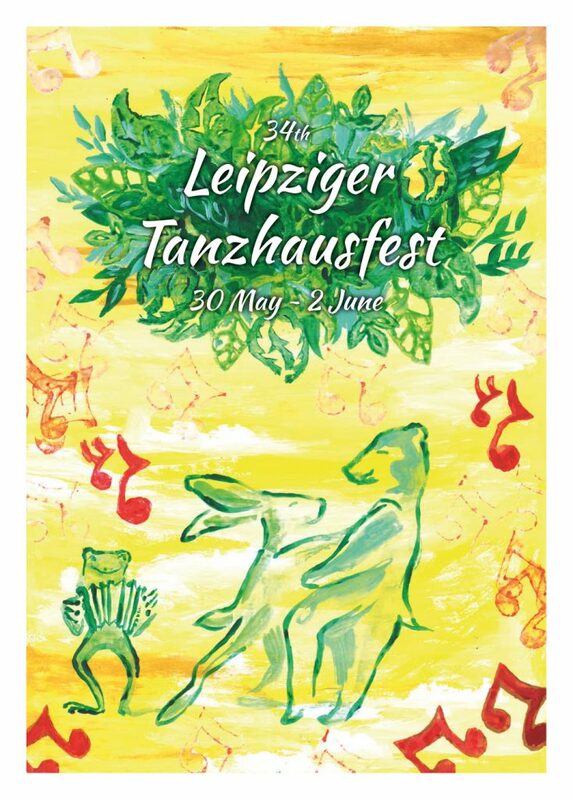 Tanzhausfest – English Summary – Tanzhaus*Folk e. V.
Since 1986, each year the folk community celebrates the Tanzhausfest in the city of Leipzig. A festival dedicated to the dancing part of the European folk movement. From the start, the Leipziger Tanzhausfest has been an international festival, always trying to gather bands from all over Europe for four days of joy and dancing. Since, the Leipziger Tanzhausfest is a long-standing traditional festival a whole bunch of bands, popular as well as lesser known ones, already participated. 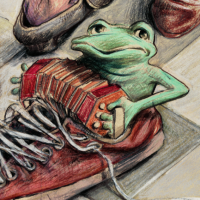 Some examples from outside Germany include the Oyster Band (1986), Blowzabella (1989), Ar Re Yaouank (1996), Skolvan (2000), Dikanda (2003), Dobranotch (2005), Gonnagles (2010), Triple-X (2012) and Té (2016). Some of them are real dinosaurs, they don’t even exist or play for dancing anymore. Since, the festival is organized by a small open group of people, who also happen to be enthusiastic bal folk fans, bal folk dances and music are the main theme of the festival. But the “all styles of folk” part has never been abandoned. You will always get the chance to dance other common and uncommon European dances. Last year for instance, we spiced the festival with Sorbian and Italian dances. Open sessions are possible after workshops, throughout the evenings and all-night long. You can find the detailed programm on a separate page in german and english. The festival will take place in the Westbad in Leipzig Lindenau. The venue has a small bar, that will provide us with drinks. As we are in the middle of a café / bar / restaurant district, we won’t provide any food. We’re sorry to announce, that we can’t provide sleeping places. You have to get yourself a place on a camping ground, in a hotel, youth hostel or something alike. Be sure to book early, because a lot of tourists like to visit Leipzig during this time of the year. Or you can ask your bal folk friends from Leipzig and/or Germany, if they have a spot for you.  For most of the guests that’s the way to go. The ticket price is 60 € with various discounts. People from Poland, Czechia and similar countries with a lower average income compared to Germany only pay half the price. From time to time we will raise the prices, so get your ticket early. We’re looking forward to dancing with you!